Each one of us has a different skin type which comes with their own set of problems, but luckily, there are plenty of things you can do to perfect and repair your complexion, regardless of what type of skin you have. Overly oily skin(click to read more about Oily Skin and Acne at Acne.org) is an issue that plagues many people, especially those in their teens and early twenties. 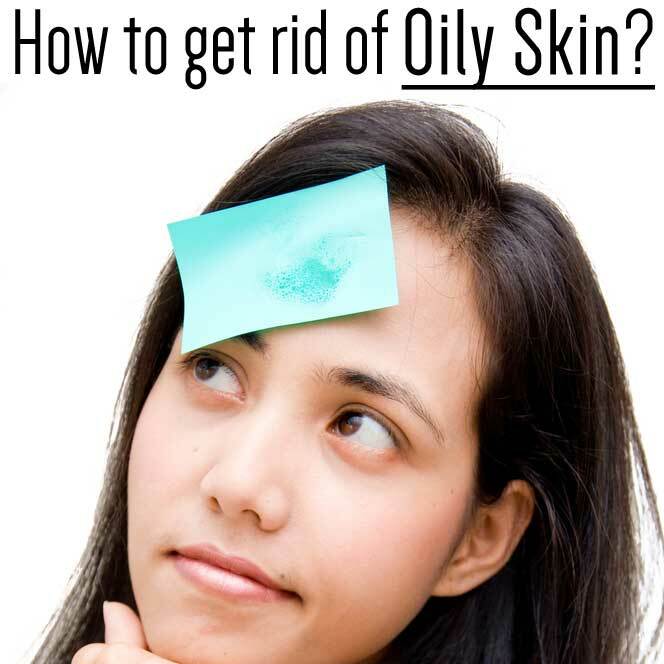 Here are several approaches you can take to fix oily skin. 1. Watch which supplements you are taking. Supplements that are used for hair and nail growth, such as biotin, have been linked to the production of excess oil which can ultimately irritate and worsen acne. If you are taking a supplement like this one, make sure that you are drinking plenty of water each time you take them. If your skin’s oily condition worsens, stop taking the supplement for a couple of weeks and see if the issue clears up. 2. Don’t cleanse your skin too much. Believe it or not, washing your face too often can actually increase oiliness(Tweet This Now!). By using cleansers that are intended to clear excess oil too often, your skin will actually become dry and then overcompensate by creating more oil to help keep the skin moisturized. Try not to wash your face more than twice a day, and use oil- clearing products as seldom as possible. 3. Exfoliating your skin on a regular basis can also help improve your skin’s condition. By sloughing away dry skin, your skin will be less likely to become plugged up with flakes of skin, trapping oil inside. You should also makes sure that you are cleaning your phone with alcohol frequently to avoid reintroducing any oil that has rubbed off onto the screen back on your skin. Remember to wash your pillow cases with mild detergent on a weekly basis in order to clean any oil from the fabric that has built up while you sleep. 4. If you are in a pinch, you can use a product that contain salicylic acid or tea tree oil to clear up any oily areas quickly. Try not to reuse dirty towels or washcloths as this will just further spread oil and bacteria and ultimately worsen the problem. The most important thing to remember is not to overdo it. Having clear, oil-free skin is all about using the right products, creating a solid skincare routine, and applying gentle techniques to coax your skin back into a healthier state. Don’t forget to clean your makeup brushes on a regular basis. These beauty tools are common for picking up dead skin and oils from your face. Easy to forget, but it should be on the top of your to-do list. All the dead skin and oils gets transferred back to your skin every time you use dirty brushes. This can cause blemishes. Good News – you don’t have to worry about germs. Synthetic brushes(such us the ones made by us:) don’t provide bacteria with organic matter on which to further breed. Hadn’t thought about the phone one! Couldn’t agree more with exfoliating. Great tip. Thank you very much!